Hot summer days might not be the appropriate words to use for summer 2014 in Ontario with the up and down weather we’ve been having. Since we are getting hammered with heat this week we’re still in the clear to enjoy the best days of summer holidays. I didn’t want to make this post the usual Saturday blog post because it’s the Labour Day long weekend which means school starts back up which brings financial changes for most people. I also wanted to make it personal in hopes you share memories of your summer days in the comment section. What’s open for the Labour Day Weekend? I don’t know what’s open in your local area but in the Toronto area we have some shops open. Many of you might be enjoying one of the last weekends at the campground or prepping for back to school. You might plan to attend some local attractions for the long weekend such as the Toronto Zoo, Wonderland, Toronto Science Centre, CN Tower, Toronto Eaton Centre or hit the beach but all government is closed including the LCBO so stock up today! It’s hard when summer days seem to end at the Labour Day weekend for many but we still have some time until the Fall season kicks in. We’re already seeing stores stocking up Halloween and Christmas decor and candies. Talk about getting a kick-start marketing to the consumers. Parents with kids going back to school might feel a bit of a budget crunch but if you plan it right it might not be too bad. Expenses can skyrocket buying new clothes and school supplies not to mention buying and preparing lunches. Then there is also the new schedule the family has to adjust to. Hectic, for sure! If you are a student heading off to College or University new challenges are coming your way but if you are an optimist you can get through anything, especially financial based. To help you kick-start your financial trials I’ve included some of the most popular Canadian Budget Binder posts below for you to reflect on. Starting a budget now is a great opportunity to stay the course for the year and prepare you for life after school when you are out on your own working in your new career. Back to school student budget for University and College—- Plus get my FREE Budget Download so there’s no reason NOT to be using a budget! OSAP….. If you don’t already know this debt is a big debt for students. Students prepare your finances now! Is it wise to stay home to pay off my student debt? Are skilled trades a better choice for Canadians? It’s been one of those summers in the CBB house where we didn’t get a chance to do too much with having our baby on the way. Most of the summer revolved around getting the front landscaping under control and shopping for baby. We managed to get the baby room fully decorated and stocked up without having a baby shower because my wife wasn’t interested in having one. I know it might sound odd to many of you but not all women want to have one and the family was fine with that. Our family has been so supportive of us this past year and helped us to get everything ready for baby including helping us with baby names. It’s one of those situations where it takes forever to come up with something that you both like but we finally did it. On top of us having a baby on the way I thought I’d be brave and start doing some renovations inside the house. I’ve worked 10-12 hour days to get this bathroom project completed and although I still have many days of work ahead of me I’m happy with the progress. Once I’m done with this bathroom I’ll be moving on to the next bathroom then the kitchen, living-room and dining room. I know… crazy but we love our house and waited long enough to pay off our mortgage so we could renovate the inside. Finally we can get rid of our pink-purple carpet. I know we keep the light low most days so we don’t have to see it. Other than the amazing baby news we’ve made a couple of trips up to see my wife’s parents, went to the beach and did some sight-seeing. We were going to take a trip to the UK but that is on hold until next year once baby is a bit older. We can’t wait to go on a vacation! I know our summer days may seem boring to you but we accomplished lots of what we needed. I hope your summer days were filled with love and laughter. Creating memories is what life is all about and you don’t need to be out spending money to do it. .
Let’s enjoy the last summer days and welcome the Fall season with open arms! I’m thrilled to say that CBB has been getting busier having more traffic stop by every day. I’m proud of the work and long hours that go into this blog for Canadians and those around the world who want to read about real stories that happen to everyday people. Not too much else is happening on the blog except removing the CAPTCHA which was giving us some issues. The plugin simply wasn’t working right so it’s been removed although there are some other spam security provisions set in place. What do you use on your blog to combat Spam? Once baby arrives please take the time to enjoy the good reads from the personal finance bloggers whom I invited to guest post on Canadian Budget Binder. I am forever thankful to these personal finance bloggers who have stepped up to help me out. I will do my best to stick to a blogging schedule but please hang tight because if you’ve had a baby you know that anything can happen. I can’t predict what will happen but I do have somewhat of a plan in place. All my amazing Facebook fans have the What’s For Dinner thread scheduled for the next two months so you can all still chat about food and finance in my absence although I’ll try to pop in when I can. Posting your grocery game shops should not end as I mentioned please continue to post under the most current GGC post and I will moderate as soon as I can. I find if someone stops doing something it’s hard to start again so I want all my amazing grocery shoppers to continue tracking their grocery shops even if I have to stop posting for a few week. Trust me when I say, it will be worth it to your budget. If you are a Personal Finance Blogger I’m looking to book High Quality Guest Posts for the months of September and October to help me out. It’s a great way to share your thoughts and the way you write with the thousands of fans who visit each week. 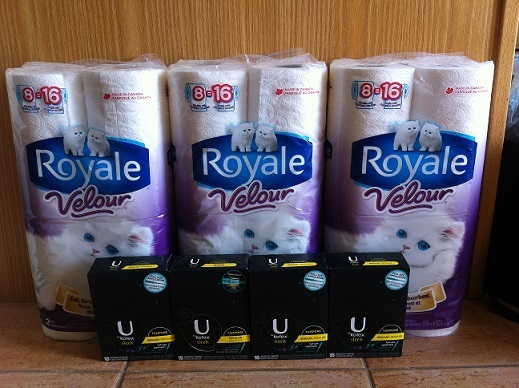 Today Jen shares some great deals she picked up while shopping. It pays to watch the flyers and to use coupons along with deals to score some great deals. Today my friend May is here to tell us all about her personal finance blog Messy Money. I am May and I blog at Messy Money and I cover topics related to finance with a personal twist. I would describe my blog as a place where life meets money. Since both life and money can be complicated the name Messy Money seemed to fit. Money is serious business but it is okay to have some fun with it too. My goal is to share my personal experiences and ideas with the hope that readers may see things from an unconventional or offbeat angle. While I believe that the nuts and bolts of personal finance are very important I am also interested in our motivations, beliefs and the social pressures that influence how we manage our money. The financial crisis was a wake-up call for many of us and it helped form a new age of “Financial enlightenment” that forced some of us to re-examine what money means and how we can manage it in what seems to be an increasingly complex financial world. On a personal note, I am happily married and mom to 2 active boys. I work full-time in corporate operations (whatever that is) and while I love my job I also look forward to life after the cubicle. I will admit that I was unaware of how vast, active and diverse the personal finance online community was when I started blogging a year ago. I have since learned that it is truly a community full of supportive and interesting people. I am enjoying the blogging experience and look forward to hearing from you. Please stop by for a visit. 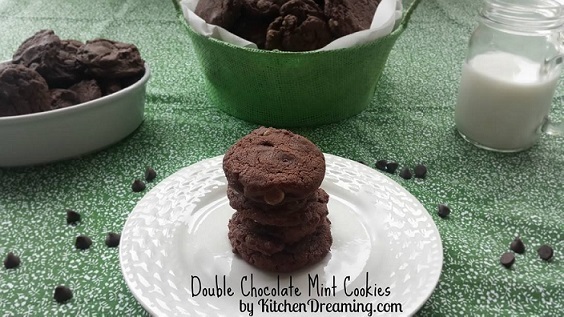 This week I picked some Double Chocolate Mint Cookies from my friends at Kitchen Dreaming. These ladies can cook so go check them out!! This week I read a post at Financial Diffraction that might interest students where Alicia transferred her Student Line of Credit to a credit card. I was interested to see how it all worked out but in the end it was the best decision for her financially. I no longer have a student line of credit. No, I didn’t come into a lot of money – I transferred it to my 1% interest (+1% balance transfer fee) credit card. This might seem a little counter intuitive, but the math works in my favour. And the emotions as well. I love it when they align! We were fortunate this week to have CBB featured on Mint.com so please do enjoy my interview with Mint. I’d also like to thank the following personal finance bloggers Budget Bloggess and My Own Advisor. How to make your OSAP money grow– Now, that’s a first! If you don’t pay it you can bet that interest will help it grow. Money Mart Free $200 loan– Ya, right! Do you have to pay back OSAP– Oh boy do you have lots to learn about finance! Of course you do. 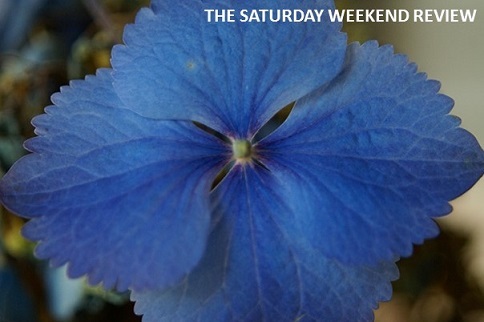 Thanks for joining me for this edition of The Saturday Weekend Review #87. Join me here again for more crazy stories from around the web and at home! Is there truth to less stress with financial freedom? I can relate to not wanting a baby shower. When I got married I didn’t want a bridal shower either. I just am not into those things. My family still felt the need to have one so they did a small surprise one. I wasn’t thrilled with it but I was gracious and thanked them all for coming. I turn of my comments section after 30 days. It has helped a lot. Good luck with your home renos. You have lots of projects in store but I’m sure you’ll be loving your house even more after it’s all said and done. Yes, she’s not into sharing all those personal photos all over social media and likes to keep things low profile. Some new mums like to announce it over and over and post millions of photos… that won’t be her. Yes, lots to get done around here. We’re trying our best to keep the pests out of the blog. It’s a PITA to be honest… thanks for the suggestion. I had no idea the baby was coming that soon! You kept it quiet for a long time! I love Fall even though not much changes around LA weather wise, in fact, sometimes it’s hotter. But Halloween is one of my favorite holidays so I don’t mind see that kind of stuff in the store. After Thanksgiving it’s all downhill though. Christmas…ack! Hope you are enjoying your weekend! Thanks so much for including my post 🙂 I dont have near your traffic but I find I have issues with comments even though I have the Spam button as well (like Deb). If I loosen up the restrictions on spam then I’d have hours of deleting in front of me. But im just concerned I will accidentally delete a legitimate comment. I recently came across May’s site, so I am glad to now see her here as well. Oh, I’m sure I have but what can you do. I was getting upwards of 1-2000 spam a day last month as I was hit pretty bad. Grayson has set something up for me but the CAPTCHA just wasn’t working right. I’m monitoring it right now. I’m starting to see some spam come in but fingers crossed they leave me alone this time. Oh my gosh, double chocolate mint cookies sound incredible and are definitely getting added to my must-bake list. I love most things mint. With school starting up again the bus will be picking up and dropping off by our place again. I don’t have any kids left in the system these days, but I used to spread out the back to school spending as much as I could. I made my kids clothes for the most part so I got started in early August with the sewing machine. Worked in with that was the cold weather sleepwear too. Then once the kids were in school I started the Christmas sewing. I have looked over the back to school sales for things like crayons and such for the grandson and things like paper, pens and other office supplies while they are cheapest for the year. It’s been a busy year for you around the house and now the little one well on it’s way!! I did have a baby shower back in the day thanks to my sisters-in-law. At the time my younger SIL lived in Calgary and was home for a couple of weeks the month I was due. My oldest was born a week before she got home so they ended up having the shower on my actual due date(he was 2-1/2 weeks early). It was nice to get some things I didn’t get a chance to buy ahead and for a good number of the relatives to see him. We didn’t have too much trouble with names for our kids but the younger boy was the hardest. He ended up with my Dad’s name for a first name and his second name was after one of hubby’s uncles. We had a fairly quiet summer. The only trip we had was to visit a friend of hubby’s up in Perth ON. It’s something we had been talking about for 2-3 years and this year was it. Both men were healthy enough to get away with it. Our friend has vascular dementia and it was good to see him but sad to see how much he has gone downhill. The guys had a good visit and we enjoyed ourselves. Nice deals for Jen on the Royale!!! Those cookies look so good!!!!!! The blog you posted looks interesting!!!! Thank you for including me in your Making a Difference feature Mr. CBB. Appreciate it. I don’t know about everyone else but I will be doing the back to school scramble this weekend. It really snuck up on me and my kids won’t stop growing. Good luck with the reno. I know it is an exciting time when on baby watch. I didn’t want a baby shower either – I am not a fan of showers in general – if I want/need something I go buy it. I was overruled and my family ended up hosting a co-ed baby shower/party which actually worked out really well. The men were really intrigued to be included in a shower. I swear Mother Nature is going through menopause with this weird weather we’re having! Glad to hear you have the baby’s room finished and I don’t blame your wife for not wanting a baby shower. Bridal showers and baby showers are silly in my mind….I’m not a girly girl in that way…LOL! Thanks for the mention! Have an awesome weekend! Congratulations on the Mint interview! Very good! Hmmm so that math question captcha thing wasn’t working for you? I have trouble with blogger comments going to spam and still getting SPAM even though I have the box you check off to say you’re a person. I implemented the checkbox because before that I was getting even more SPAM that was computer generated. But since I do get the odd legitimate comment in SPAM, I have to delete the true SPAM one by one, so I try to stay on top of it. Let me know how this goes (what you have implemented here now). I use Comment luv too.